China’s e-commerce boom is changing the face of the country’s retail scene, and this exciting consumer-direct channel is generating new opportunities for fresh produce marketers. Alibaba Group is the dominant player in China’s e-commerce business, with an estimated 80 per cent of the online shopping market using the site and its subsidiaries including TMall and Tabao. Edith Huang, general manager of TMall’s Lifestyle department, will speak at Asiafruit Market Insight later this month on how the Hangzhou-based group is changing the way people consume goods in China. 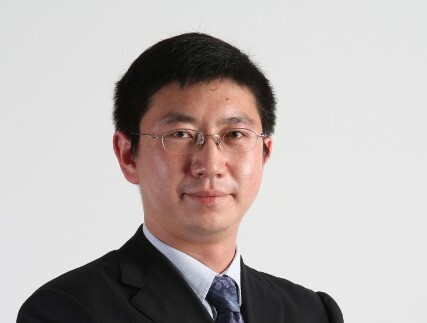 With more than ten years’ experience in China’s e-commerce industry, Huang oversees TMall’s food and beverage, home accessories, healthcare and mother and baby operations. She plays a key role in the e-retailer’s fresh produce sourcing, which has taken off since TMall ran a groundbreaking promotion for Northwest Cherries last year in conjunction with US marketing body Northwest Cherry Growers and online fruit retailer Fruitday. Joining an expert panel that also includes Loren Zhao of Fruitday and Northwest Cherry Growers’ Keith Hu, Huang will talk about marketing to young and aspirational consumers in China. She’ll also outline TMall’s plans to build on last year’s cherry promotions and widen its range of imported fruits. Walmart China, which has made its own foray into e-commerce with its acquisition of a majority stake in online grocery retailer Yihaodian, has a large network of around 400 stores across the country. Many of those stores are in the country’s fast-emerging tier-two cities, such as Hangzhou. In a workshop session focusing on how to extend fresh produce distribution into these exciting new consumer markets, William Wang, merchandise director for Walmart China, will explain the ways the retail giant manages its sourcing for such stores. Wang, who leads Walmart China’s fresh food business for its stores in the North and East China regions, will also discuss regional consumer trends and distribution systems. The two retail executives add to an impressive panel of high-profile speakers for Asiafruit Market Insight. To view the full programme, visit www.asiafruitmarketinsight.com. Organised by Asiafruit Magazine and supported by Asia Fruit Logistica, Asiafruit Market Insight heads to Hangzhou, west of Shanghai, on 28-30 May 2014, to explore fresh opportunities for growth in eastern China. Asiafruit Market Insight takes place at Hangzhou’s deluxe JW Marriot Hotel, opening with a Welcome Reception on the evening of 28 May. A full day of conference sessions follows on 29 May and the event concludes on 30 May with a day of study tours to leading Hangzhou wholesale market and retail operations in the city. Simultaneous translation into Chinese and English is provided throughout the conference.